Go to Toronto. Most international students should be capable of handling the rigor. - Both UBC and U of T are excellent, world class schools. There is little to choose between them academically, though there are always exceptions, depending on the faculty. Bottom line is that a graduate from either school will be recognized internationally amongst academics. - both are rigorous. It is not unusual for students, even bright ones, to struggle in the first year or two. Most make it through, but you have to work hard. My son is at McGill now, which is considered similar academically. - Both are large schools of 50,000+ students. - both are in large cities, though Toronto is far bigger. - both cities have very large Indian populations, and are quite diverse. - Both have excellent and abundant Asian food, whether it be Indian, Chinese, or what have you. - Both cities are expensive, even by world terms. -Toronto has a real winter, with snowballs, snowmen, skiing, the whole bit. It is milder than other parts of Canada, but it still is a winter to be reckoned with. - Vancouver, and especially UBC, seldom gets snow, and when it does, it melts quickly. People say it rains a lot, but if you look at the stats the precipitation is not much more than other places. To me, the big thing you have to put up with in Vancouver is the seemingly endless lack of sunshine from November to March. - Toronto is a large, urban city. it has a good subway and train system. - Vancouver is smaller, but harder to get around in. Public transit is mediocre, though getting better. -Toronto is a fairly attractive city on the shores of Lake Ontario. The campus is right in the middle of it, in a reasonably good area, right next to the Parliament buildings. - Vancouver is one of the most beautiful cities in the world on the shores of the Pacific, and UBC is in, arguably, the most beautiful part of Vancouver, on a Peninsula jutting out into the Pacific, overlooked by snow covered mountains. - Toronto, while not on the East coast, and tends to emulate the East culturally. Personally, you couldn't pay me to go to U of T. I find it impersonal, and a bit of a rat race. My wife (Asian), would go there in a second, just for the food! She also prefers the Eastern culture to the West coast. I agree with most points by the previous poster except for 2. I loved my time at U of T as did my son who graduated last year. And second the skiing in Ontario is awful. There’s rarely enough snow to make a snowman in Toronto. The tallest ski run in southern Ontario is only about 700 feet vertical drop. The closest good skiing is 7 hours away in Quebec or Vermont. Vancouver is 2 hours from one of the best ski resorts in the world, Whistler Blackcomb which has a 5000+ foot vertical drop. Well, Steve Podborski and Todd Brooker both cut their teeth skiing in and around Collingwood, but I think you might want to keep in mind that we are advising someone from Mumbai, who is unlikely to care about the difference between skiing Tremblant, Collingwood, and Whistler. He IS likely to care about how much it snows on the campus in the schools in question. There is absolutely no doubt that Vancouver gets a fraction of the snow that Toronto gets in the winter, and is milder temperature wise. 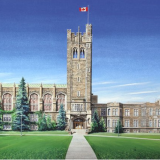 At U of T, it's no problem to change your major unless you want to change it to engineering or computer science or commerce. It's possible to get into any of the 3, but the process is very competitive. Both schools admit to a general first year for bio sciences and it is not required to declare a major until entering second year. UBC has a renowned Sciences One program that admits a small cohort of high achieving students and integrates all the sciences together for first year which can help alleviate the problem of very large first year class sizes. U of T offers select seminar classes that aspires to do the same, but is not necessarily major specific. The only other thing I would add to @57special's excellent summary is that while the cost of living in Toronto isn't cheap it is much higher in Vancouver. We also have an offer from Waterloo, how does this rank for allied sciences? Waterloo is predominantly known for it's faculties of Engineering, Computer Science, and Math (and possibly Physical Sciences) for which it is highly ranked. Biology accounts for about 6% of undergraduate enrolment and is not a major school focus (though they do offer Biomedical Engineering). Unlike U of T and UBC it does admit directly to the major in first year. Waterloo is located in a mid-size city about 90 minutes outside of Toronto and is adjacent to Wilfred Laurier University with which it offers combined programs in Business with Engineering, CS, and Math. It has a very highly regarded co-op program (but again mostly for Engineering and CS). It will have less ethnic diversity than U of T and UBC. Waterloo has a very high number of Asians in CS, and probably the Math and Engineering departments. Chinese more than Indians, but Indians will not be rare, if that matters to you. The rest of the faculties will tend to be less diverse. Canadian Universities usually to not keep statistics on student ethnicities, but rest assured that if your son goes to Waterloo for the above mentioned majors, he will not be the only Indian...far from it, in fact. The student who gave us the tour of Waterloo when we were there was an international, from Mumbai. She had a great personality, and was smart as hell. Waterloo CS is know for it's relationship to Google, among other things. I am not sure about the Bio department. My son is all about CS, so that's what we focussed on when we were there.